Last year, more than 34,000 Evoques were sold in China, one-third of the model's global sales. 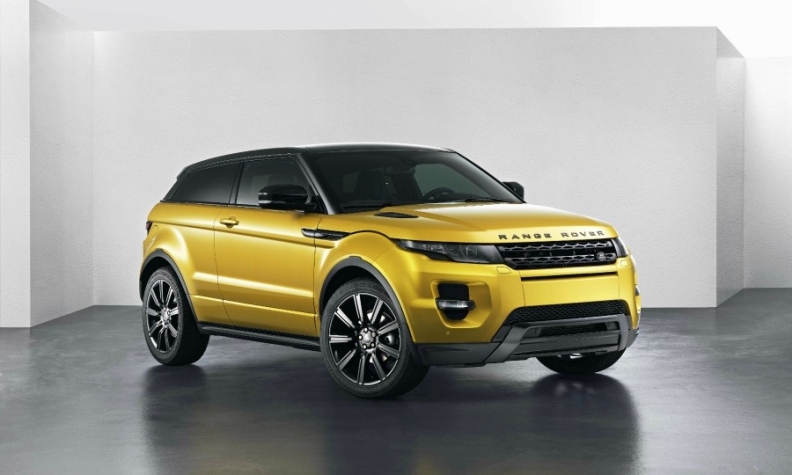 For two years in a row, Land Rover has remained China's fourth-largest luxury brand. It's hard for the British marque to challenge the three German brands -- Audi, BMW and Mercedes -- that collectively own more than 70 percent of China's premium car market. But over the next few years, Land Rover seems likely to strengthen its position as the leader among China's second-tier luxury brands. Land Rover enjoys a number of advantages. As an SUV maker it can exploit the huge growth potential of the Chinese SUV segment. SUV sales in China surged 36 percent last year, easily outpacing overall light-vehicle sales, which rose 10 percent. Second, Land Rover has begun to market locally produced models that are competitively priced. On Feb. 1, the Range Rover Evoque -- produced by the automaker's joint venture with Chery Automobile Co. -- went on sale in China. China levies hefty duties on imported vehicles. With a starting price of 448,000 yuan ($71,111), the locally built Evoque is 22 percent cheaper than its imported equivalent. To be sure, other second-tier luxury brands such as Volvo, Cadillac and Infiniti also have started production in China. But Land Rover has another advantage over its rivals: unique styling that resonates with Chinese consumers. "The main attraction of Land Rover vehicles for Chinese car shoppers lies in its their distinctive exterior design," said John Zeng, Asian director of LMC Automotive, a market consultancy. Chinese consumers are attracted by signature features such as Land Rover's muscular bumpers, clamshell hood, floating roof and the continuous waistline, according to Zeng. Car buyers also developed a strong liking for the Evoque's new rear spoiler and roof fins. Last year, more than 34,000 Evoques were sold in China, one-third of the model's global sales. Lexus, which trails Land Rover in China, still has no plan for local production. Last year, Lexus sold about 85,000 vehicles in China. By contrast, Land Rover sold 104,540 vehicles, up 28 percent. Now that the Evoque is locally produced, a second model -- widely anticipated to be the Discovery Sport - is expected to enter production later this year. Those two models should sustain the brand's sales growth in China for quite a while.